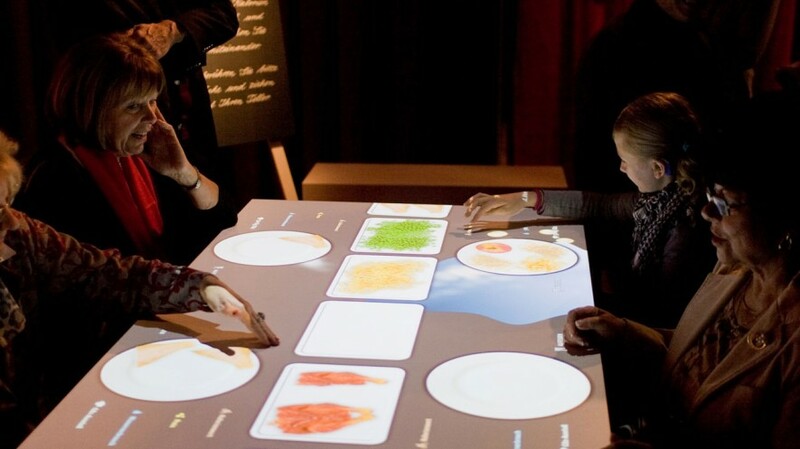 235 Media developed and implemented the entire media technology and an interactive table featuring a 3D Depth Sensor for gesture control for the “Our Daily Bread“ exhibit. 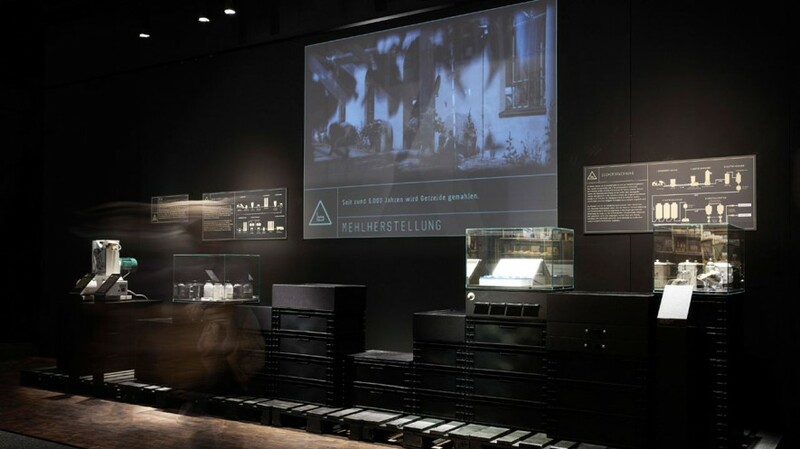 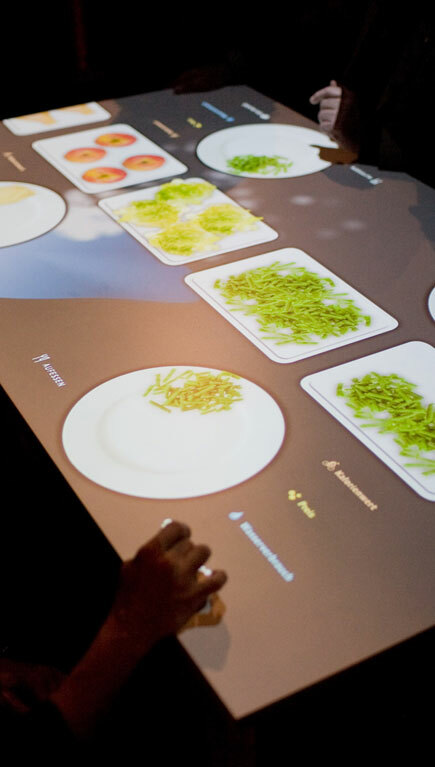 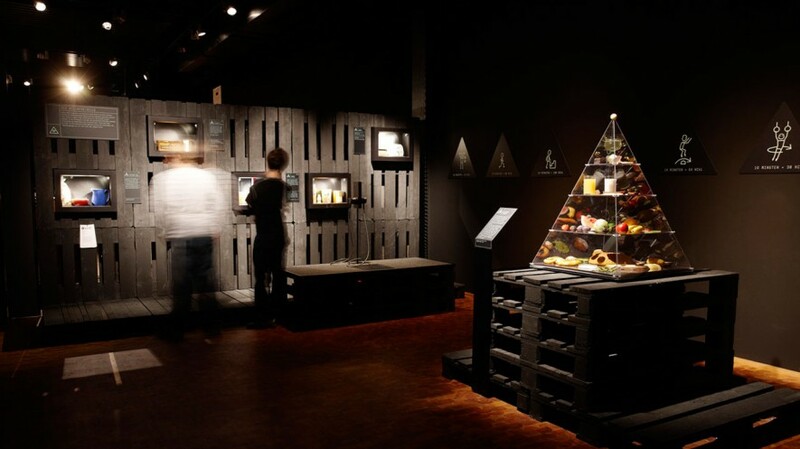 The visitors can interactively take a meal from a conveyor belt at the table and gather information with regard to water consumption, CO2-emmission, price and caloric expenditure for diverse food items. 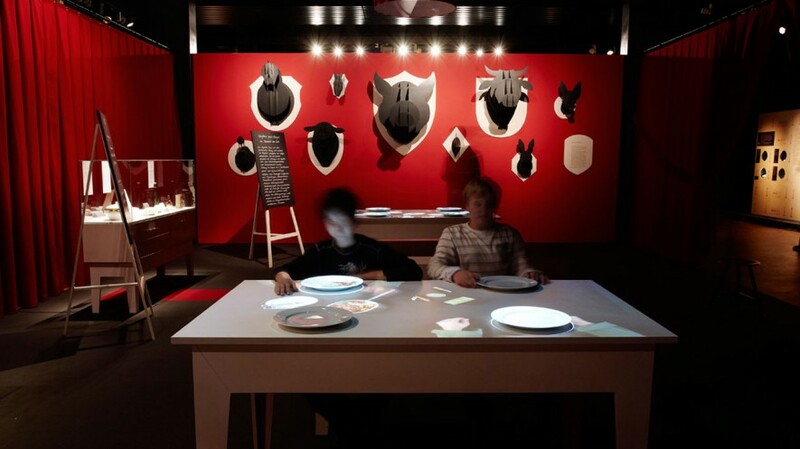 A table with 4 empty plates is on display. 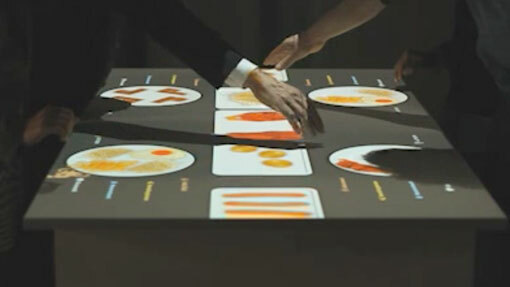 A conveyor belt with trays containing diverse food items, from which the visitors can extract one by hand gesture runs through the centre of the table. 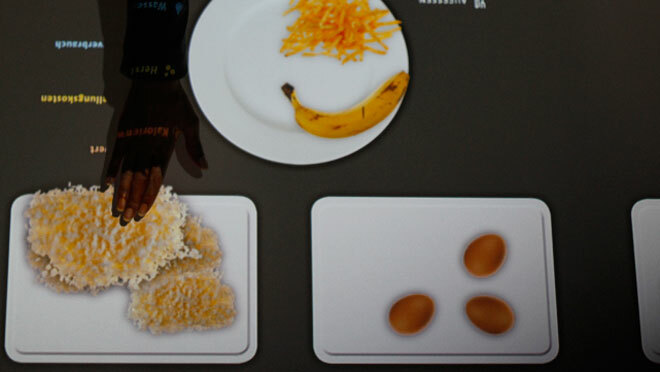 Information regarding the water consumption, CO2-emmission, price and caloric expenditure for diverse food items can be obtained for each individually assembled plate. 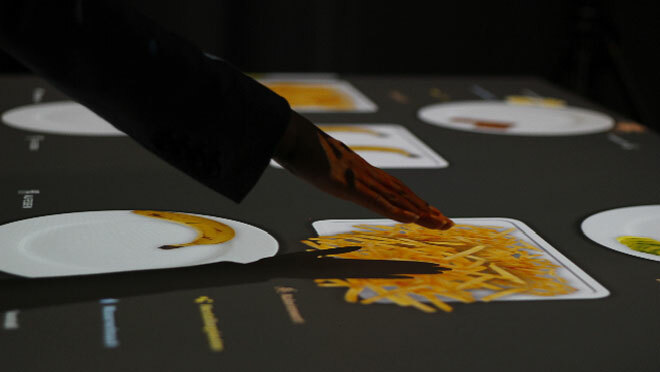 Each piece of information is incited in an interactive and entertaining manner.